God has called His children to love everyone. Everyone? What about murderers? Kidnappers? 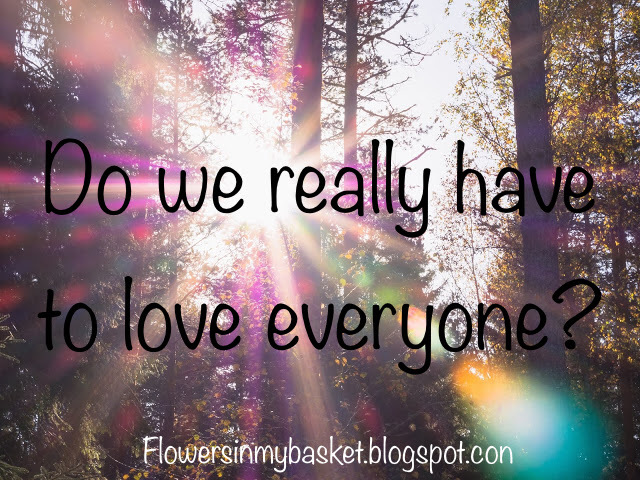 Should we really love them? Yes. First of all, remember that we, too, have sinned. Even if our sins are not the obvious kind (like murder) they are still sins against God. If God, being completely perfect, can look down and decide to love a sinner (me), than I who sin myself can love these people. You can love these people simply by wanting good for them. To some, this may seem crazy. I know that some people would want murderers to have to endure suffering and anguish. After all, they did something horrible! If we want to be like Jesus, though, we shouldn’t hate them. Rather we should pray for them, wanting them to be saved by the same blood that saved us. After all, who knows where we would be if God didn’t change our lives. Of course they’re not innocent; of course they should go to jail to learn and to keep others safe, but we shouldn’t hate them. This is kinda relatable to a situation i'm in. Been really angry at some relatives of mine who threw in the towel in their marriage. Mad at them on multiple levels for their actions. So it's really hard to not get angry at people when they do things that are not ok. So true! Thank you for sharing this, Laura. ♥ Love is so important.